Cover and cook on high for 3 - 4 hours or on low for 7 - 8 hours, until veggies have softened. 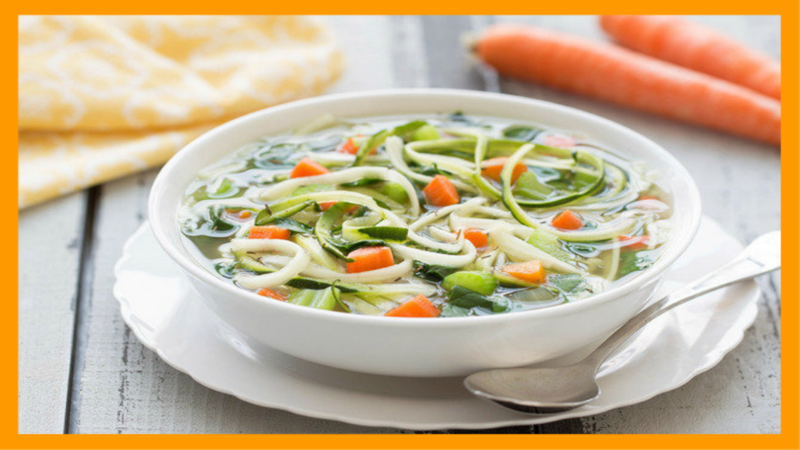 Once soup is almost done cooking, use a spiral vegetable slicer to cut zucchini into spaghetti-like noodles. (If you don't have a spiral veggie slicer, peel zucchini into super-thin strips, rotating the zucchini after each strip.) Roughly chop for shorter noodles. HG Alternative: We use chicken broth for flavor, but feel free to use vegetable broth for a vegetarian-friendly spin!